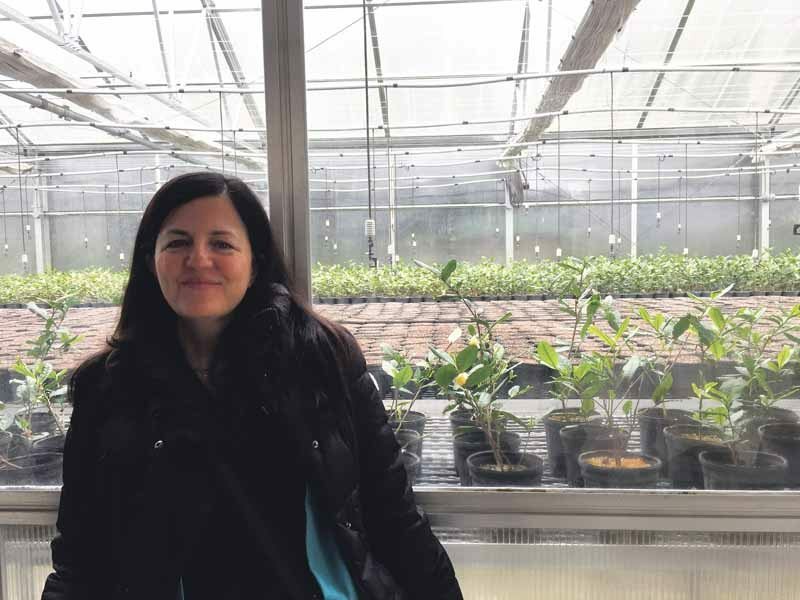 Heavenly Tea Leaves’ owner Noushin Ebrani stands in front of the plants she selects for her teas. 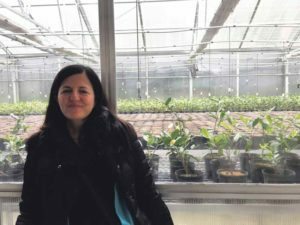 Noushin Ebrani looked to the soothing powers of tea during her recovery from breast cancer and, soon after, her passion for and knowledge of tea turned into a booming online small business, Heavenly Tea Leaves, in 2006. 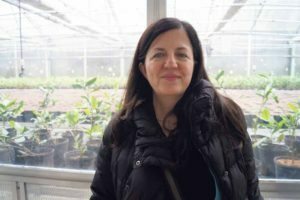 Ebrani and her family seem to have become tea connoisseurs throughout the development of the business, learning how tea is made, the processes it undertakes and how to properly taste it. 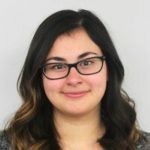 After Ebrani was diagnosed in 2003, she became very interested in alternative medicine and the works of Dr. Andrew Weil, who is widely known as an alternative medicine guru. Weil talked about green tea in his books, so Ebrani began to explore green tea, trying different flavors from different manufacturers. 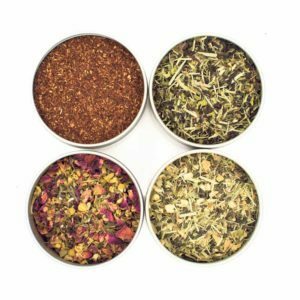 Most of the tea she began trying came in tea bags, but she soon switched to natural loose-leaf tea as the market shifted toward organic and healthy products. Even Heavenly Tea Leaves’ box is serene. While encouraged by her husband, Ebrani explained that she is Iranian, and it is not typical for women in her culture to work. So the business began in her home where she could be close to her family. Heavenly Tea Leaves are available in a variety of flavors that induce sleepiness. But, that did not seem to be the case for Heavenly Tea Leaves when its online store first started. 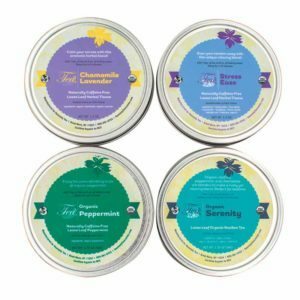 Her business has developed slowly over the last 10 years and is now booming after the tea began selling on Amazon. 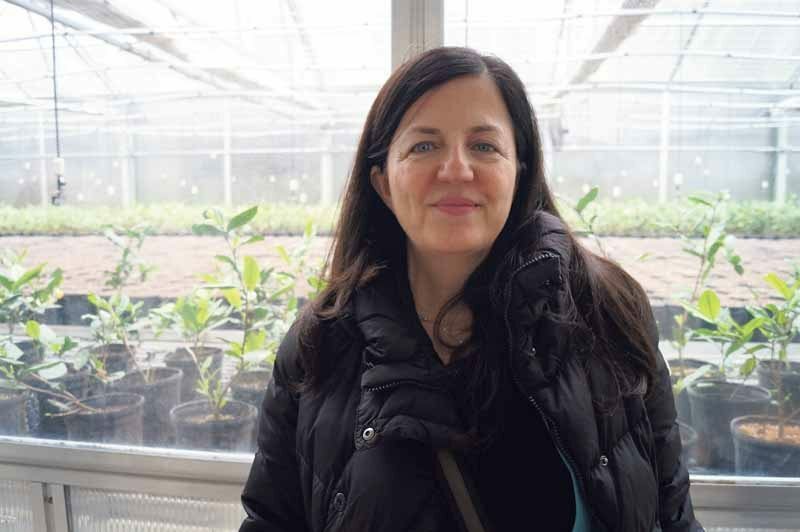 Ebrani attributes her success to luck, hard work and a passion for tea. Her passion is evident as one clicks around on Heavenlytealeaves.com, finding 15 different types of tea ranging from green to rooibos, samplers and information about the leaves, including health benefits, a brief history and traditions around the world. 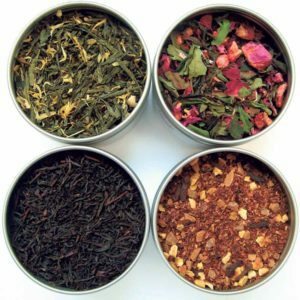 All teas sold on Ebrani’s website have been handpicked by the Great Neck resident and her family from countries such as China, Japan and India. Traveling has allowed Ebrani and her family to build relationships with companies. She said that her business is very trust oriented and is done with a handshake like in the good old days. “It’s a combination of traveling and also just working with different people and trying to figure out what we need and where it could fit in to some of our blends,” explained Ebrani’s son, Matt, who works at Heavenly Tea Leaves. Ebrani assured that she and her family taste every flavor of tea before selling it on their website. According to the tea maven, when tasting tea, tasters must slurp the tea off a spoon and hold it in their mouth for a few seconds to get the full flavor. Ebrani claims that her son is a tea super taster because he is able to grasp every nuance of the tea. 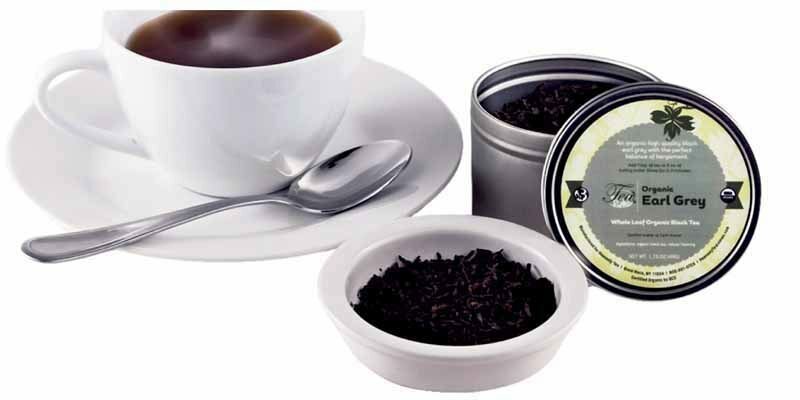 Organic Earl Grey is a popular classic. Along with selling loose tea leaves by the ounce, Ebrani sells tea samplers that are perfect gifts. 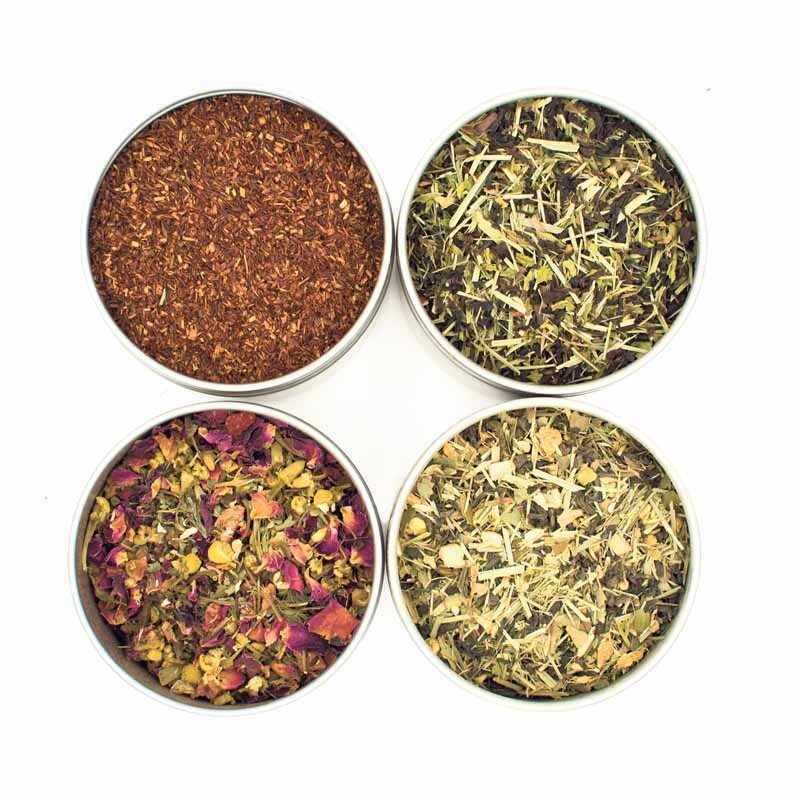 Samplers come with either four containers of loose tea for about $30 or 9 containers of loose tea for about $44. Customers can either customize their samplers or choose from a variety of pre-chosen varieties, such as the dessert sampler with raspberry-chocolate and key-lime pie black tea, organic piña colada rooibos tea and chocolate-almond green tea. Noushin Ebrani’s knowledge of tea turned into her booming online business, Heavenly Tea Leaves. 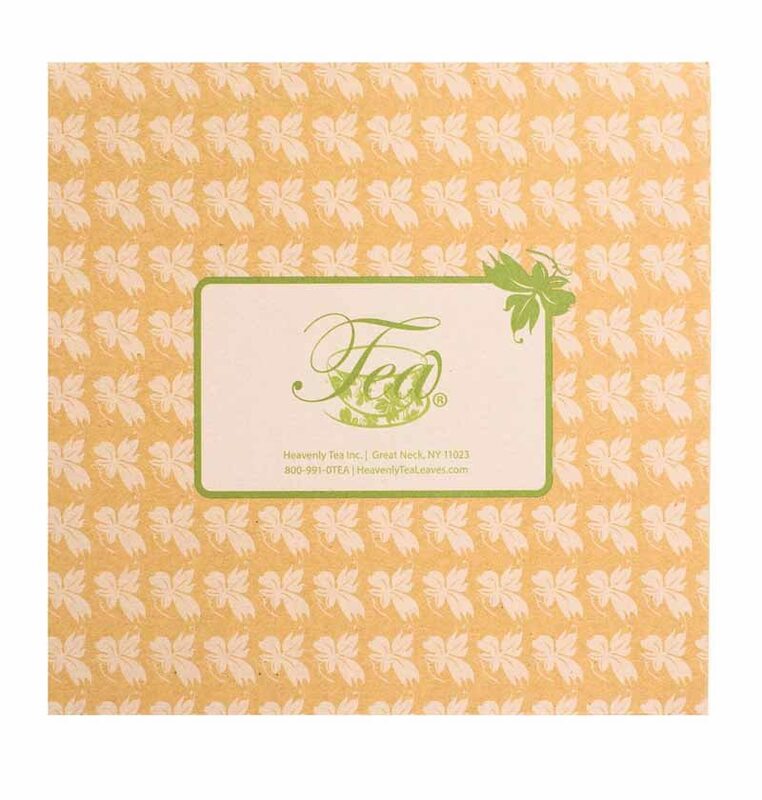 “These samplers are a good way to either give a gift or try a few different teas at once, whereas other tea companies really emphasize selling by the weight, so it’s sometimes harder to try a few things at once. So, this really helps with that,” said Matt Ebrani. 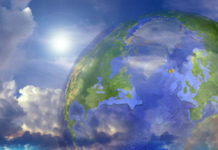 For more information about tea or Heavenly Tea Leaves, visit www.heavenlytealeaves.com.